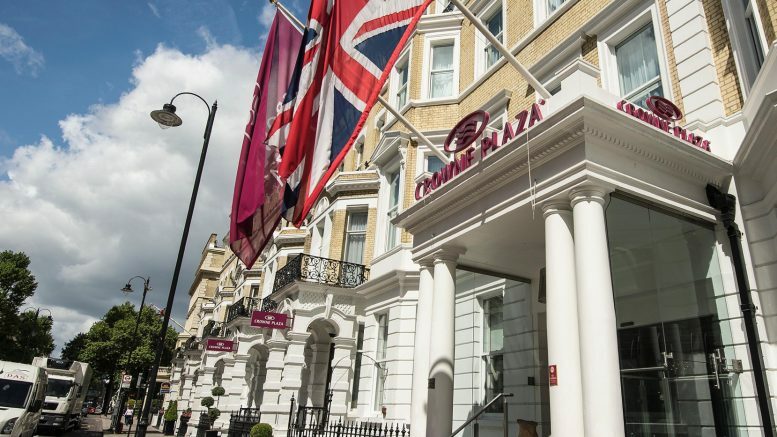 A Heeton Holdings-led consortium has acquired the Crowne Plaza London – Kensington hotel for around 84.31 million British pounds (S$149.23 million) from L.C. Hotels, the consortium announced Sunday. Heeton has a 60 percent stake in the hotel, while KSH Holdings and Ho Lee Group hold 20 percent each, the statement filed to SGX on Sunday said. The 162-room hotel is located in Kensington & Chelsea, near many tourist attractions, historical landmarks and shopping districts, according to the hotel’s website. The acquisition brings Heeton’s portfolio to 12 hotels, with eight in the U.K., two in Japan and two in Thailand. Both KSH and Heeton said they would fund their portions of the investment via internal funds and external borrowings. Choo Chee Onn, executive chairman and managing director of KSH, said the acquisition would strengthen its recurring income streams. Intercontinental Hotels Group currently operates the hotel under a management agreement, the filing said.